Simon Says Stamp is hosting quite a few stencil challenges this week so I decided it was time to open up the Simon Says Stamp ‘Hope Blooms’ stencil! I used regular distress inks to create the flowery background and then used a stamp from a flower set to create the centres. I didn’t want to overpower the delicate flowers with stencilled leaves, so I used a stencil from the Bokeh set to add a spotted background. To finish off the card,I added a die cut greeting, also from Simon Says Stamp. 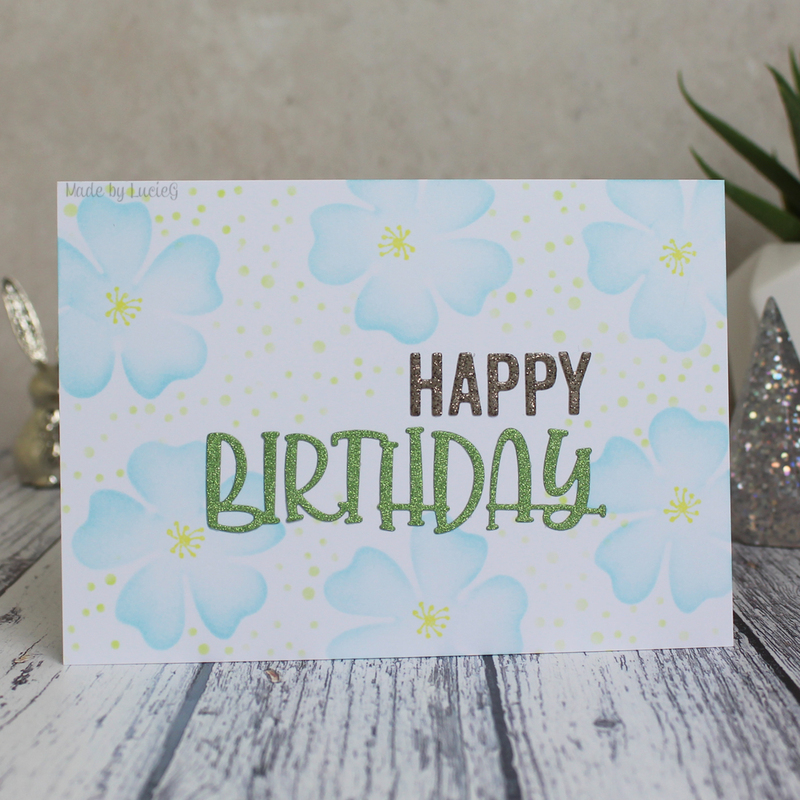 Such a pretty birthday card! Thanks so much for playing along in the Color Throwdown challenge this week! Beautiful card!! I love the softness of the flowers. Thanks for playing along with us at the Simon Says Stamp Wednesday Challenge.